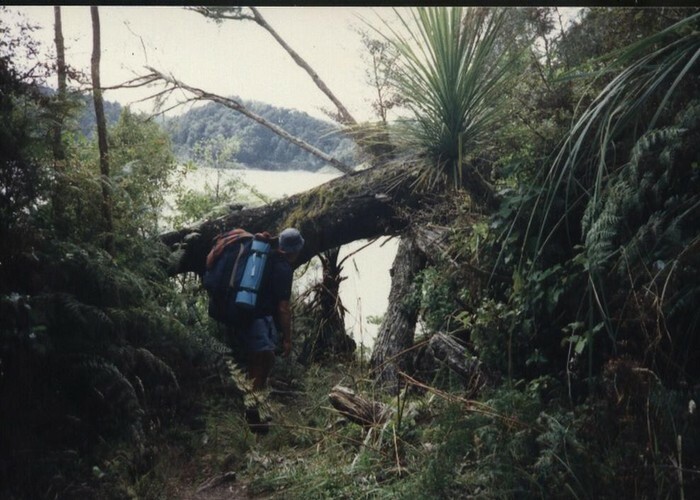 The DOC Great Walks are a set of premium tramping tracks throughout New Zealand. Mutton Cove Campsite 2 • By kocolise. The tracks are maintained to a high standard, making it easier for visitors to explore some of the most scenic parts of New Zealand's back country. Huts are conveniently located, comfortable, well-equipped, and high capacity. These tracks are heavily promoted, and very popular with overseas visitors — so there is no escaping the crowds on most of the Great Walks: bring a sociable attitude and ear plugs. Privately run guided walks are available along many of the tracks. 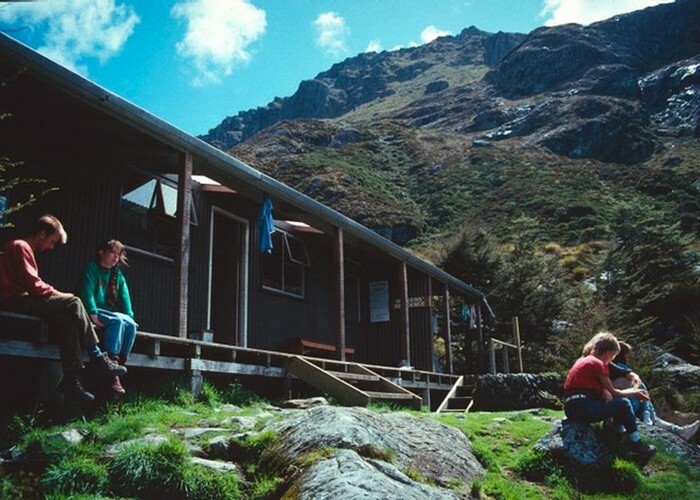 Old Routeburn Falls Hut 1989 • By martin.steffen. Bookings and fees apply to huts and campsites on the Great Walks. There are no restrictions or fees for day use of the tracks. Huts on some tracks are serviced with wardens, flush toilets, heating, gas for cooking, and other comforts. During the Great Walks season, tracks and facilities are provided to a "Great Walks" standard. Bookings are required. Lowland tracks have a year-round Great Walks season, while alpine tracks have a shorter season. Tracks are not suitable for inexperienced trampers outside the Great Walks season. Alpine sections may be impassible in winter. Hazards include avalanche risk, snow conditions, and dangerous river crossings. Lowland day or overnight walks from track ends can be a good choice during winter. During the winter season, bookings are unavailable, but DOC backcountry hut tickets are used to pay for huts. Facilities at huts are reduced, and some bridges may be removed due to avalanche risk. Huts may have no fuel for heating. waikaremoana • By moose. Licence: C.
Huts on Great Walks are fitted with bunks or platforms with mattresses, drinking water, toilet, heating facilities and fuel. Cooking facilities may be available, although these may be in heavy demand. Wardens may be present in summer. Cooking utensils and other bedding are not provided. Wardens do not sell food or other products: trampers must be fully prepared. Designated campsites provide water, sinks and toilets, and may have cooking shelters. They do not have cooking facilities. Unlike other tracks, there are charges for camping. 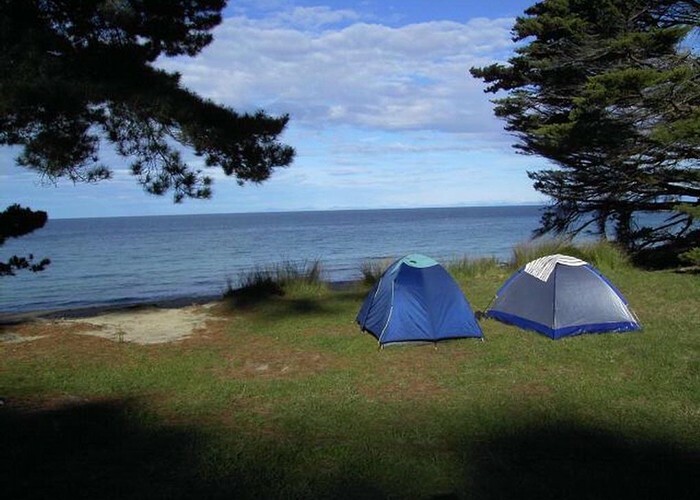 Free camping is prohibited within 500m of any Great Walk track, or within 1km of the Milford Track. There are no campsites on the Milford Track. Shelters on the Great Walks are provided for emergencies or for sitting out inclement weather, for lunch breaks, and as support for camping areas. Overnight use is generally prohibited except in emergencies. eponymous Missing from this list is 'the Pinnacles' in Thames. The monster 80 bunk hut is well worth a visit. heyhey High season on the tracks is generally Labour Weekend (October 25) to Queen's Birthday (April 25), low season is the reverse. Exceptions are the northern SI tracks (Heaphy & Abel Tasman) which are from October 1 to April 30, and Waikaremoana in the North Island which is high season rates year round. Lucky77 The articals are useful but still need more contributors to present their views. Dirk I found the artical usful although some prices for the huts and camp sites would be great to have. Added 29 May 2001 by MatthewMatthew. 7 revisions, most recently 25 November 2016 by MatthewMatthew. 356 views in the past year (30 per month).